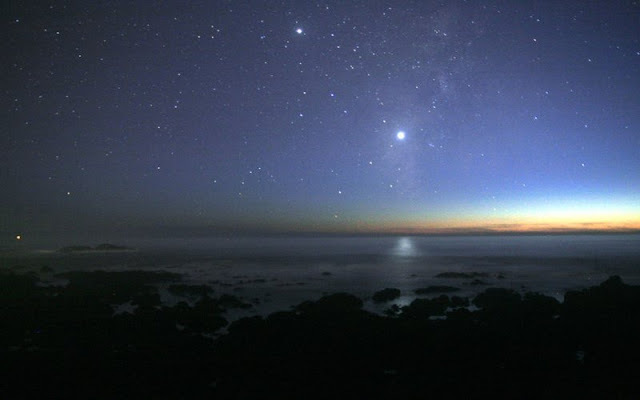 I never made the connection that the star Sam saw from deep in the heart of Mordor was most likely the Star of Earendil. But that would be the right direction. It's interesting that the point is made so subtly at the last. You have to read what it says in the appendix about Earendil and follow the trail backwards from there to the text by checking the pages cited in the note. They you just say, "Oh, right, of course it is." Not surprisingly, another excellent essay -- well-done, sir! With your permission (and assuming my memory holds long enough), I'd like to share this with our listeners after our episode on Eärendil releases early next month. Thank you, Alan. I would be happy for you to share it with your listeners. That's a great compliment. Lovely thoughts, as usual. I was particularly struck by the phrase 'long home' being used with the Silmarils. I was reminded of Arwen's words when she chose Aragorn over her elven heritage: ‘And she stood then as still as a white tree, looking into the West, and at last she said: “I will cleave to you, Dúnadan, and turn from the Twilight. Yet there lies the land of my people and the long home of all my kin.” She loved her father dearly. Here she is referencing Valinor as the ultimate resting place for the Elves -- but it is not an 'eternal' home, is it, as Arda, and therefore Valinor will eventually end [although Tolkien did play with the idea of a new life for all, when the Music is sung as it was intended]. It also recalls the phrase 'the long defeat' used by Galadriel -- the defeat which Elves must suffer in their battle with the evil that is Morgoth and his demonic followers, an outcome which is inevitable within Arda because that evil was there before the Elves were even conceived. But it's only a long defeat, not necessarily permanent, nor eternal (is that a word used much by Elves?). And, of course, Arwen's tale also brought to mind Frodo, who could not be at rest in his own home, and had to go to the 'long home' of the Elves to find healing. Thank you for your comments. I had not thought of Valinor as "the long home" of the Elves, but it makes a good bit of sense. Brilliant work, Tom, as always. As you often do, you've suggested to me a new way to think about things. The word 'apotheosis' often comes to mind when I think of Eärendil (which you know I do often), but I've always felt guilty of making that connection, because of everything Tolkien wrote to make it very clear that any kind of elevation beyond one's Ilúvatar-given nature is impossible. Perhaps the flaw in my logic is that it's not Eärendil who has been apotheosized, but the Silmaril he bears; and it's not so much apotheosized as it is restored. As a thing of Varda and the Undying Lands by nature, it is terrestrial -- not celestial -- existence that is unnatural to it, and Eärendil is freeing it from these earthly trappings by bringing it home to Valinor (I note that "its light grew greater as they drew into the West") and ultimately into the skies. 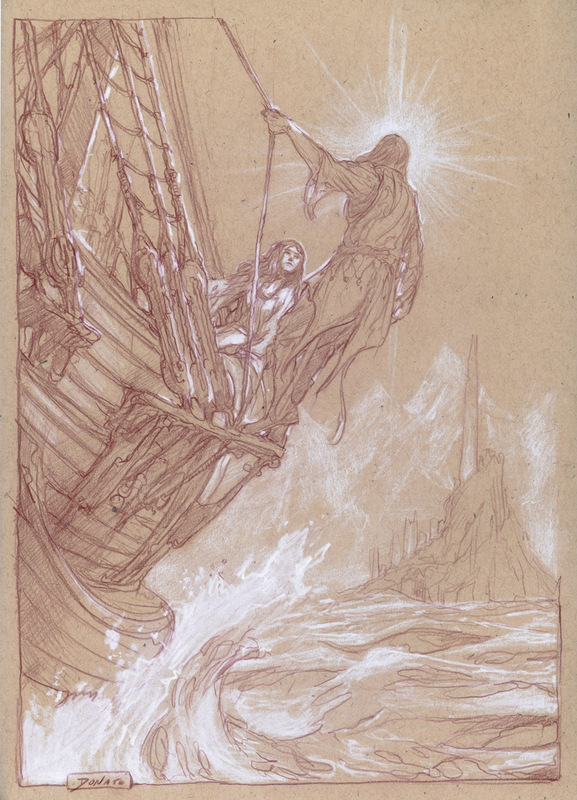 Perhaps there's something John-the-Baptist-like in that: Eärendil's serving as a messenger or deliverer of the Silmaril: itself a hope greater than him. Thanks, Shawn, and you're right. Apotheosis isn't quite the right word, but both he and the Silmaril become in a way 'sacred', in the sense of Latin 'sacer' to describe something that is beyond or outside of mortal bounds.